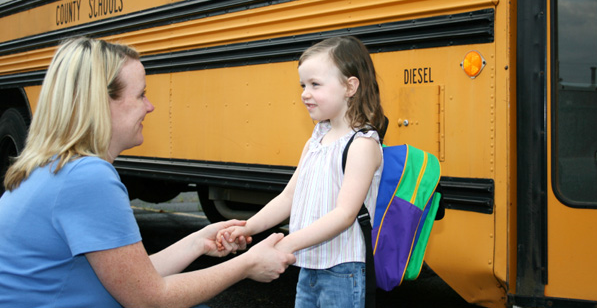 Child Injury At School In Maryland – Who Is Liable? More than 14 million children get injured at school each year in the US. The severity of the injuries varies according to the circumstances. Sometimes it is only a bruise from playing football too intensely on the playground. Other times, children suffer severe injuries and in those cases, the parents are entitled to know who is to blame. So, when we are talking about a child injury at school in Maryland, you need to be informed and understand what you are dealing with in order to protect your kid. When it comes to intentional torts, even if your child didn’t suffer a severe injury, actions must be taken. Most of the schools have a no-bullying policy but, sometimes, that policy fails to protect children from harm. In the case of an intentional tort, there are two possibilities: either your child was intentionally hurt by another kid or they were bullied by a school employee. Any personal injury lawyer from Maryland will tell you that, if your child was the victim of bullying by another student at the school, the parents of the offending kid may be held responsible for your child’s injury. The school itself can also be liable for failing to stop the bullying, but that falls under school negligence in MD. If your child was bullied by a school employee, you can bring a claim against that employee, but also against the school for failing to do an efficient background check of their employees. When it comes to school negligence, such an institution is liable if they failed to follow the accepted standards of care. To get a clear view of your situation you should reach out to an Annapolis injury attorney. For example, for a school bus accident, the school may be liable if the school driver was negligent or if the vehicle malfunctioned. But if the collision involves two drivers and the other driver was responsible for the crash, then, most probably, the school isn’t liable at all. From playground injuries and food poisoning accidents to slip-and-fall injuries, exposure to toxic substances or accidents during sports, the school is responsible for keeping children safe. But, as you will find out when you contact an Annapolis injury lawyer, this doesn’t mean that, in case something happens, the school becomes automatically liable. Another important aspect to take into consideration is whether the school is public or private. If the school is public, you are suing a governmental entity and the procedures will be very strict. If the school is private, you will not encounter special procedures, but you will still need the help of an Annapolis injury attorney. Call the best Annapolis injury lawyer at (443) 569-3950 or send us an email at [email protected]. We offer a free initial consultation so that you can understand the legal particularities of your situation.